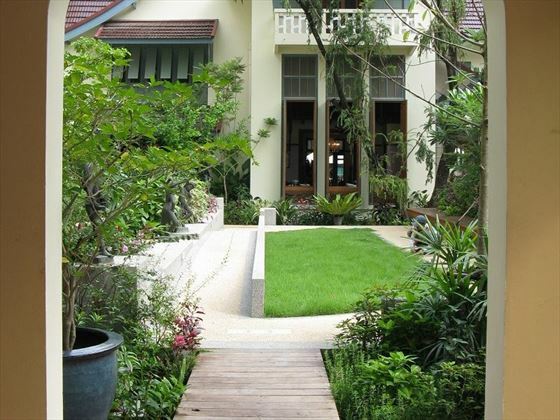 A genuinely family owned (for several generations) and run boutique hotel that offers a welcoming oasis in Bangkok. 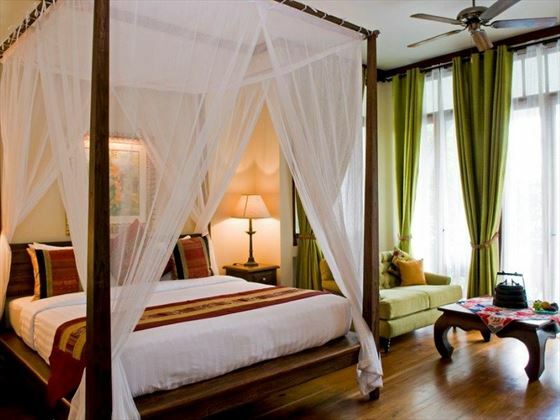 Individually tailored service here is a priority and the rooms are well appointed with a wonderfully authentic Thai flavour from the recycled hardwood floors, silks and original artwork. 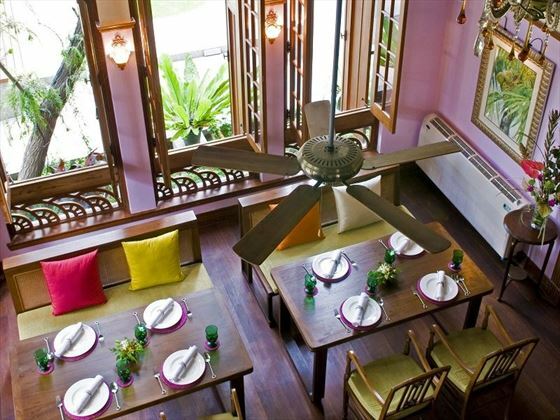 The original villa was built by the family in the 1940's and it’s easy to evoke the Bangkok of a bygone era whilst whiling away time in the restaurant. 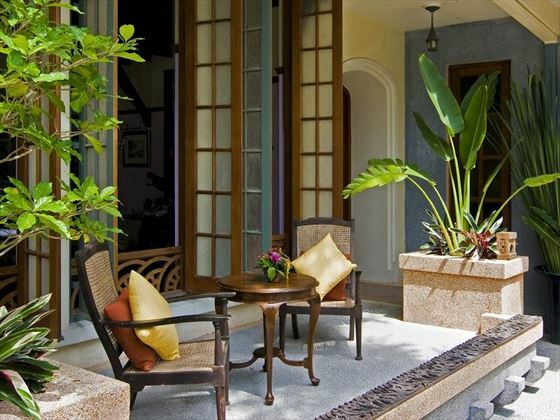 In 2008 when the hotel was completed, the heritage villa was joined by a newer wing and both are set around a lush, relaxing garden with outdoor pool. The interior design is in keeping with the style of 1940's Bangkok yet with all the necessary modern comforts added and with a unique attention to detail. 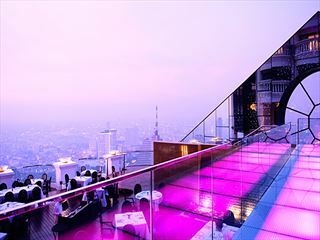 This is a well-loved small luxury hotel and booking in advance is highly recommended. 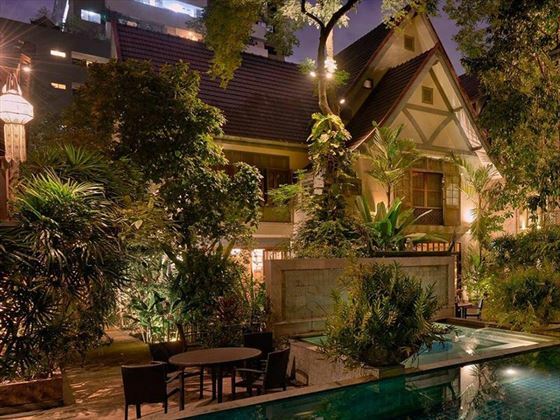 Set next to the canal (Klong) in the Sukhumvit area of Bangkok, five to ten minute walk from the BTS Skytrain for easy access to the rest of the city. 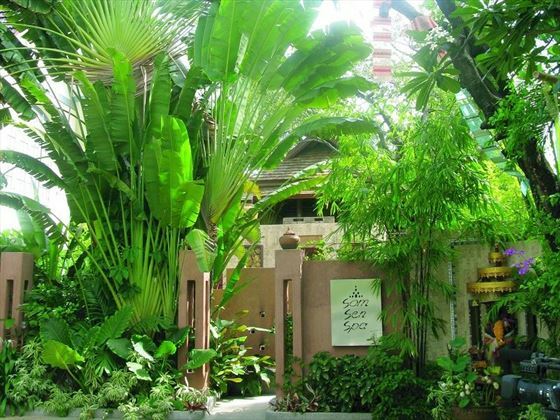 A fun alternative is to take the cheap Klong ferry that stops just a few minutes from the hotel and skips all the city traffic to drop you at the Jim Thompson House on the way to the Golden Mount near the Chao Praya River. 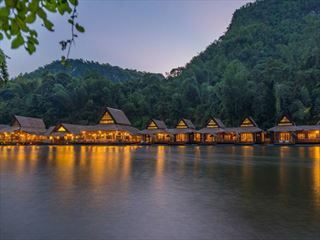 The resort is around an hour’s drive from Bangkok International Airport. 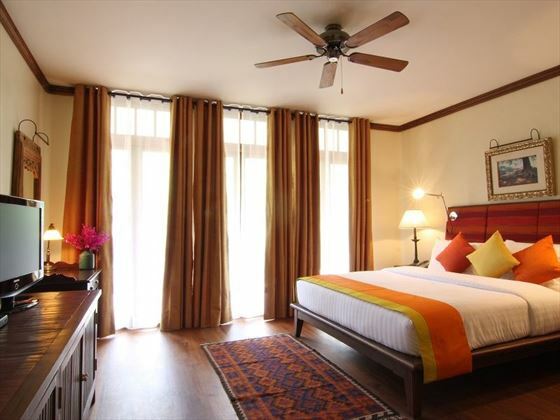 Studio – available as twin or king bedded rooms with teak floors, Thai silk drapes and original artwork. Most are in the new wing which is the quieter option. Deluxe – larger than the studios and individually decorated they are also available as twin or king-beds. 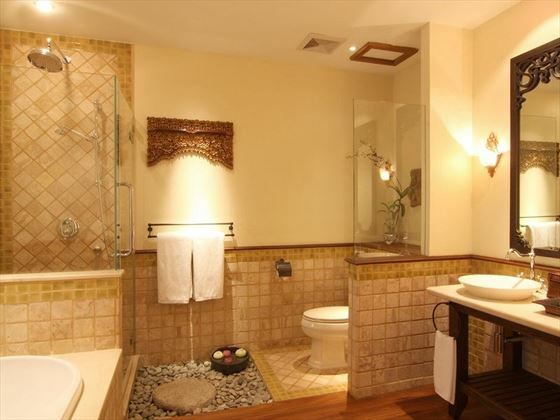 Executive Deluxe Rooms- the three Executive rooms are all slightly different. One has a wonderful Jacuzzi bath and is on the ground floor. Two other two are larger with balconies and a separate sitting area with sofa bed; large enough for a family (cribs are available). Suites – the three split level executive suites enjoy a mezzanine sleeping area with living area downstairs. 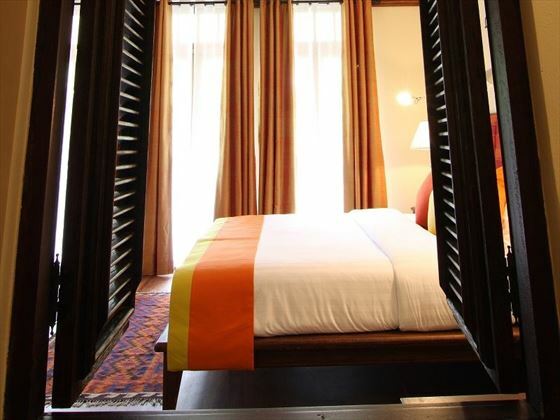 Two are on the fourth floor with views of the pool and the canal and the third is the original master suite in the old wing with traditional four poster bed. Breakfast is served daily from a set menu in the wonderful Na Aroon restaurant. Also open for lunch and dinner, the organic vegetarian and seafood menu offers the very best in fresh Thai ingredients with Western and Asian specialties. 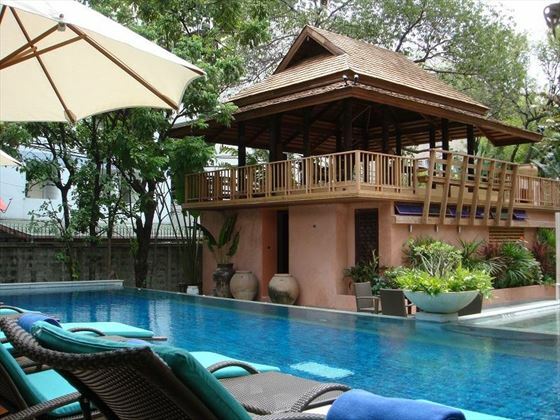 Som Sen Spa is within the Villa and offers excellent value traditional Thai massage in your choice of the open sided Sala next to the pool or a private treatment room. A Steam room is also available. 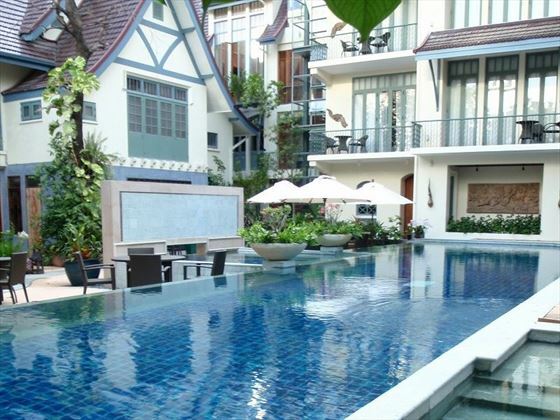 Outdoor Pool set in a relaxing tropical garden with an adjacent whirlpool. 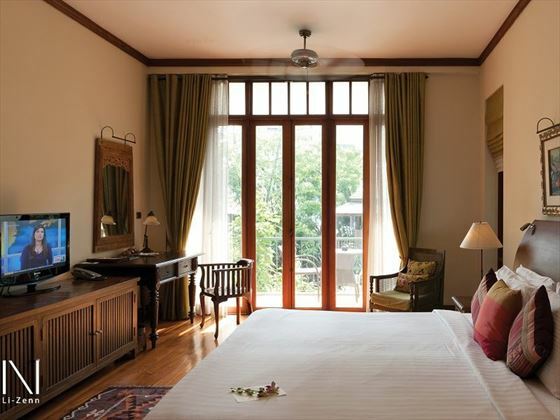 Oozing authentic Thai charm and glamour, Shanghai Mansion Bangkok is a gorgeous boutique hotel that mixes traditional decor with contemporary touches. 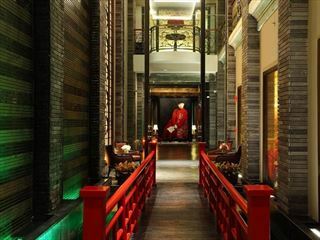 The rooms are decorated in classic Chinese style, and the Red Rose Restaurant is inspired by past emperors' divine fine-dining meals.